I realized early this week that I hadn't shared all of the art and music activities we did as part of our study of the Universe! I hope you enjoy. 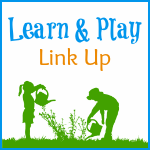 The kiddos had such a blast with these activities. When I selected this activity for our shelves, I was unsure how the kiddos would respond to it. I was elated to discover that they LOVED it. Each day our planet activities were on the shelves, I cued up a performance on Youtube, of a different planet, until all of the kiddos had watched and heard the entire masterpiece. 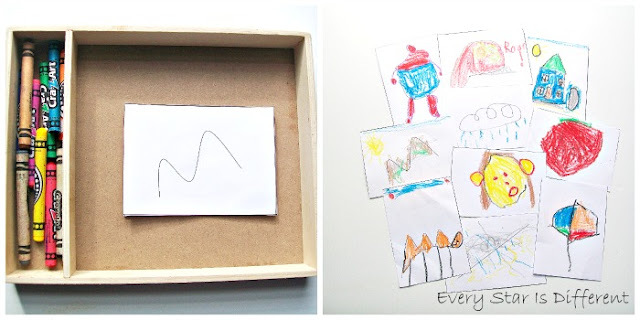 This activity was literally the first activity the kiddos selected from the shelves each day. Throughout the course of the week, I listened to the kiddos discuss the planet performances they had listened to so far. It melted my heart. Active listening with a visual presentation is such a fabulous way to introduce musical elements, melody, harmony, rhythm, meter, timbre, dynamics, and major and minor modes. Last year we dabbled with pitches. Bulldozer did fabulous with the activity, but Dinomite and Princess really struggled. 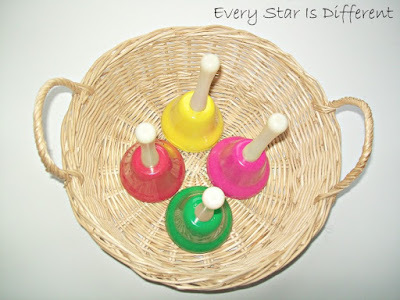 This month we're working on pitches again using our Hand Bells . Instead of using them all, I selected four. It's taken a bit of work, but Dinomite and Princess are finally starting to get it. Other music activities on our shelves this month include those below. Click on the link for further details and free printables. Besides activities on our shelves, the kiddos have been introduced to the concept of traditional piano lessons. I'd love to say it's all going fantastic, but we're a bit behind in this area. Don't get me wrong, the kiddos are super excited about their new piano books. 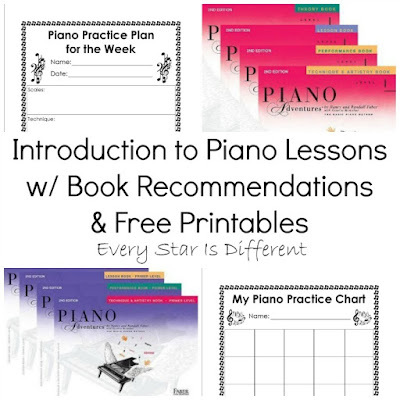 Dinomite and Princess are using the Faber Piano Adventures Level 1 Learning Library Pack. Bulldozer is using theFaber Piano Adventures Primer Level Learning Library Pack. 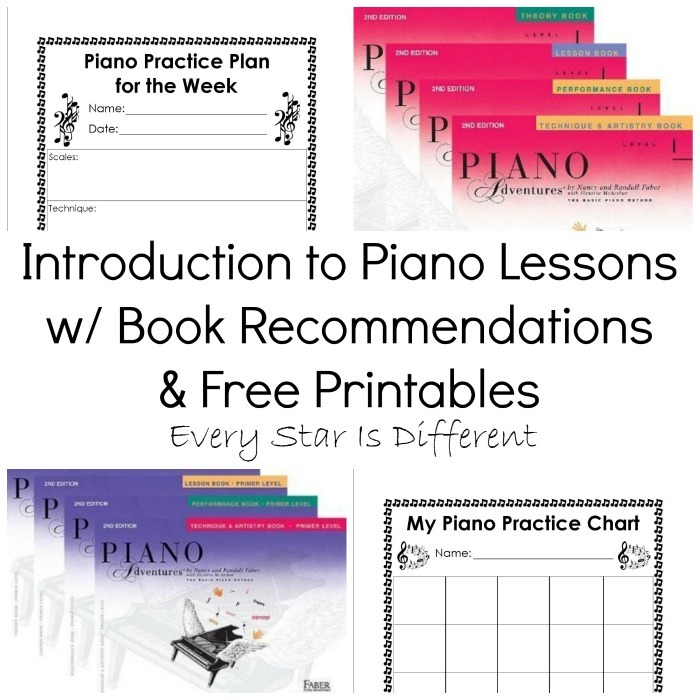 All three kiddos understand the difference between each book they'll use and how practice sessions will work. They LOVE their piano practice charts and can't wait to earn the reward they've written in at the bottom when they've filled in all the spaces. The challenge has been finding time for me to give them their lessons, and then have all three practice each day. None of them are able to practice on their own yet. I'm sure we'll get better with all of this over time, it just takes some getting used to. As a musician I feel it's so incredibly important for children to learn how to play a musical instrument, so I'm willing to put the effort in to help them each become successful. 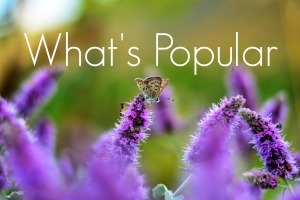 This activity was a huge hit on our shelves this month as well. Kiddos used the materials provided, following instructions, to create planets. There are still at least 15 of these around the house in various places. 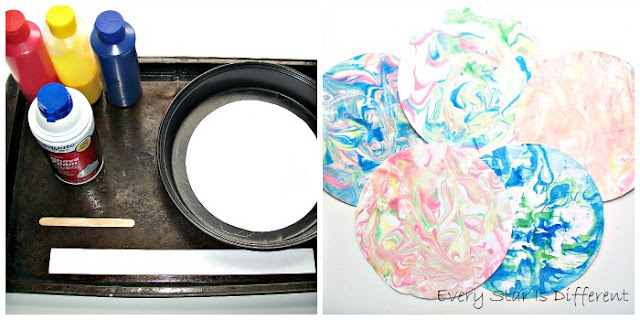 Who knew working with shaving cream and paint could be so fun? 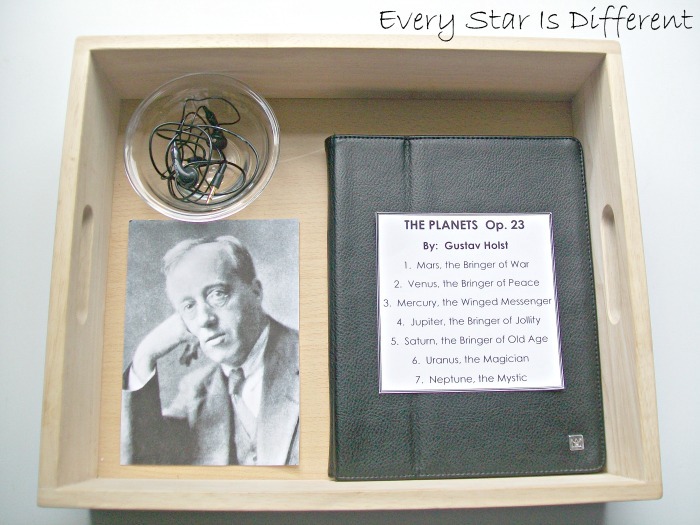 Source: My husband found the idea and instructions for this activity at Teaching with TLC. Be sure to follow the link for all the details! One of the basic elements of art is the line, whether straight or curved. To introduce this concept to the kiddos we gave them a slip of paper with one line on it. They were asked to create a piece of art, using the line provided. There were several different lines to choose from. I have been so impressed with some of their work. My favorites are shown above. Source: I created the printable for this activity. For your free copy. click on the link below. This is the first year that I've incorporated the Montessori preschool art curriculum into our activities. 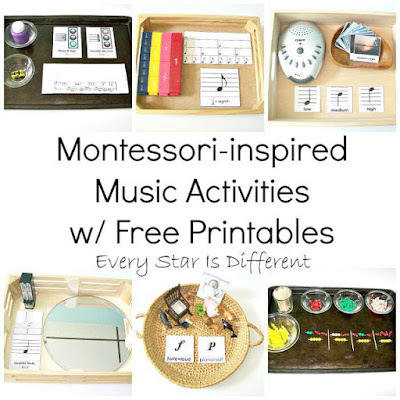 There are many aspects of the early elementary Montessori curriculum that we're studying as well, but I didn't want to skip over anything we missed. In this activity the kiddos use the scissors provided to cut out the circle on the paper. 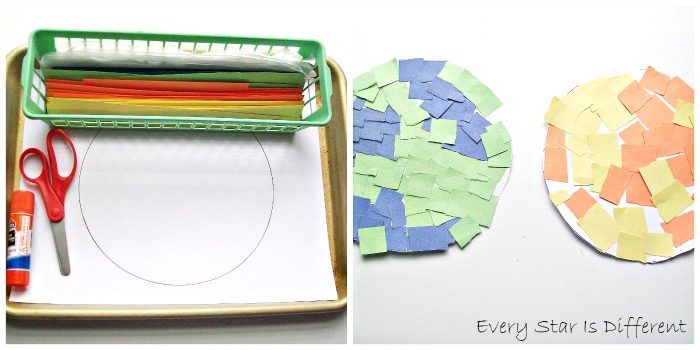 Then they tear the paper strips provided, gluing them on the circle to create a sun or Earth. Samples of their work can be seen above. 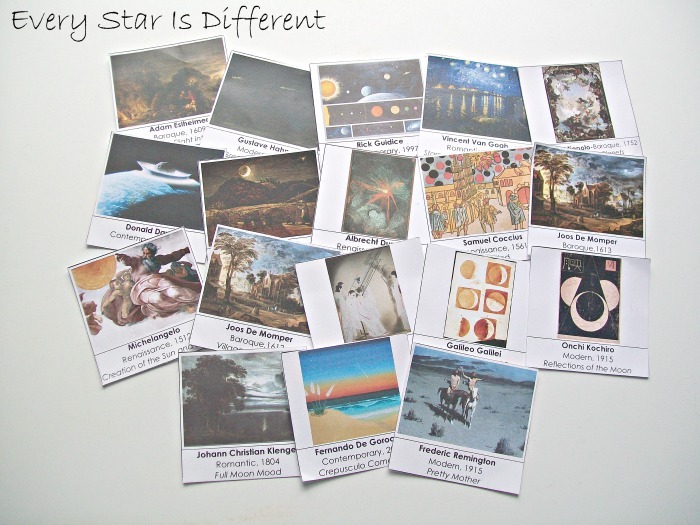 Originally these cards were created for a sorting activity. The kiddos would sort them by time period in art history while studying how different artists perceived the Universe, planets, and more. However, Bulldozer decided he would prefer to play memory with the cards instead. Knowing how much he learns from playing the game, I obliged and printed out a second set of cards. You can tell from the picture that they've been used frequently. The kiddos love to learn about artists and their works. I just love visiting posts linked up here each week. They are all so fabulous. It is so hard to choose features each week. 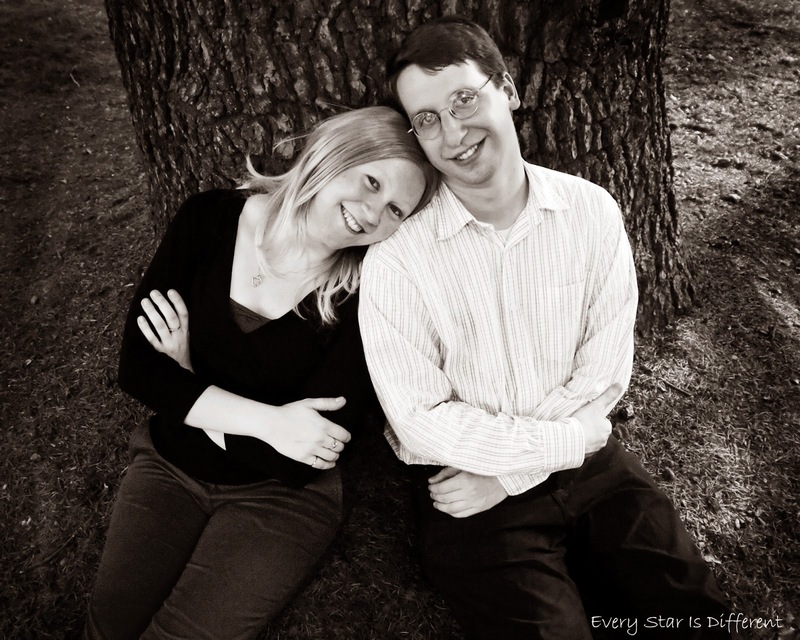 If you aren't aware already, I do try to share many of the posts linked up on the Every Star Is Different facebook page. Some are also pinned on my boards. 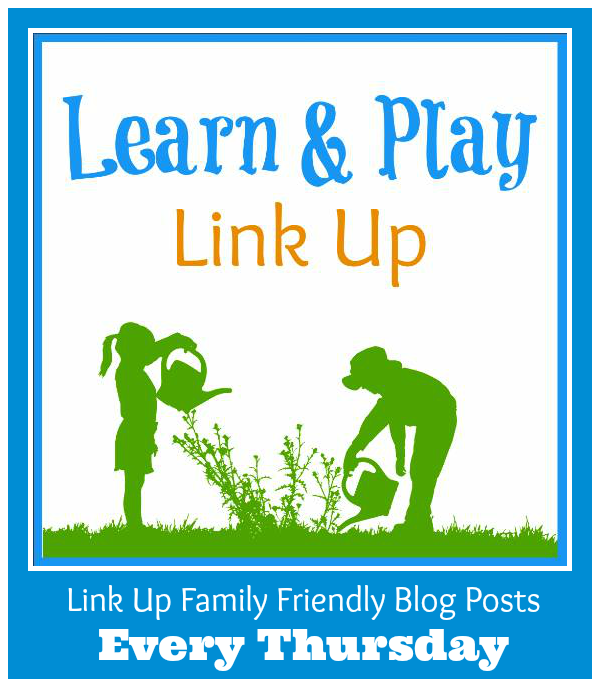 Thank you so much for your participation in the Learn & Play Link Up! This week's features continue with the themes of art. I hope you enjoy and are inspired! 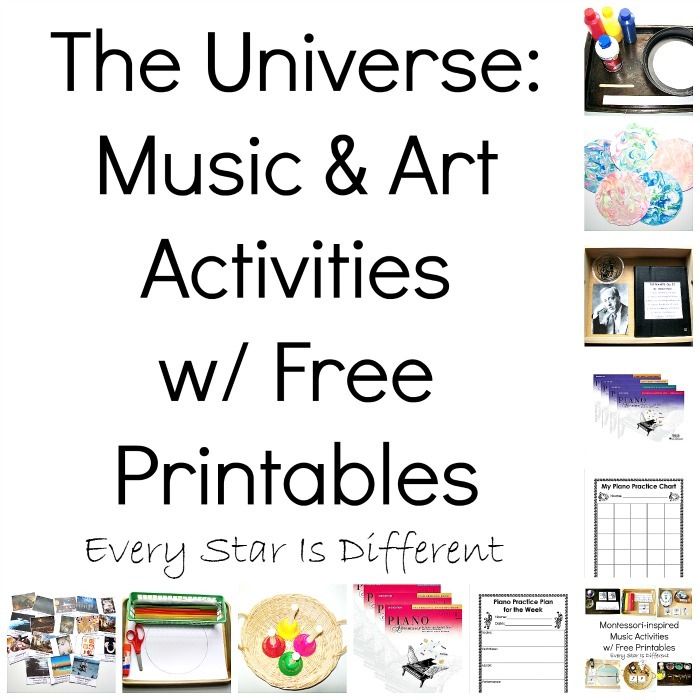 This is quite a round up of universe music and art activities! Happy to pin! 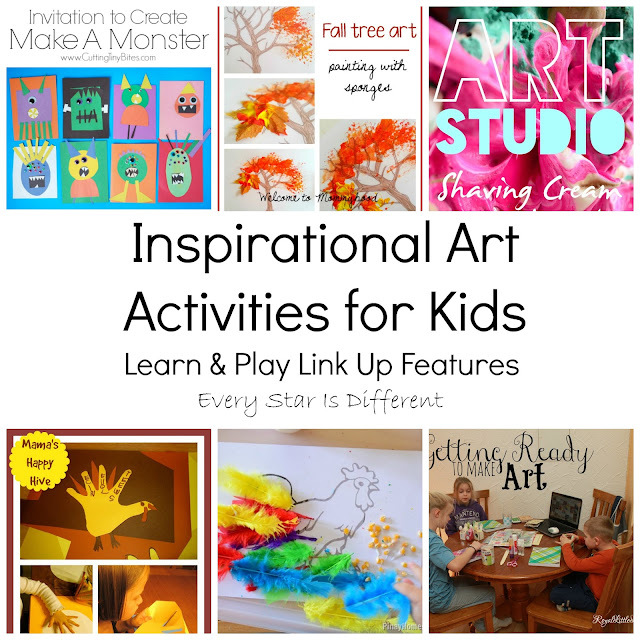 Thanks for linking this up at Made for Kids! We love to paint using shaving cream. I love how it looks for the planets. I love the Holst unit! We are going into astronomy as March approaches, You have saved me a tremendous amount of time!! Thank you for the free printables.